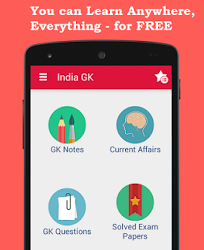 15 May 2017 Current Affairs MCQs, Quiz, Questions: Current Affairs for May 2017, Daily Multiple Choice Questions (MCQs) for India GK, World GK and current affairs with Collection of daily objective type Question by www.Indiagk.net based on General Knowledge (GK) and General Science (GS) Questions for UPSC, State PSC, SSC, Police exam, Railway exam, SBI, Bank PO, IBPC, SSC, LDC, UDC, Army, Airforce, Navy, Coast Guard, Bank Clerk, TET and all entrance examination with current affairs News, Multiple Choice Questions (MCQs) available on Website www.IndiaGK.net and Android Apps with daily updates:. Who is recently appointed WHO Goodwill Ambassador for Hepatitis? Which city will host Biggest International Yoga Day event on 21st June 2017? India wins how many Gold in Asian Wrestling Championship 2017? Which Indian village has won the Smart Village Award 2017? PM Narendra Modi on 15th May launches Narmada Sewa Mission in which City?